The Digest provides a snapshot 📸 of your finances on a weekly, monthly or yearly basis. Learn more about the different sections of your Digest. The Digest presents a series of charts and snapshots illustrating aspects of your earning and spending. 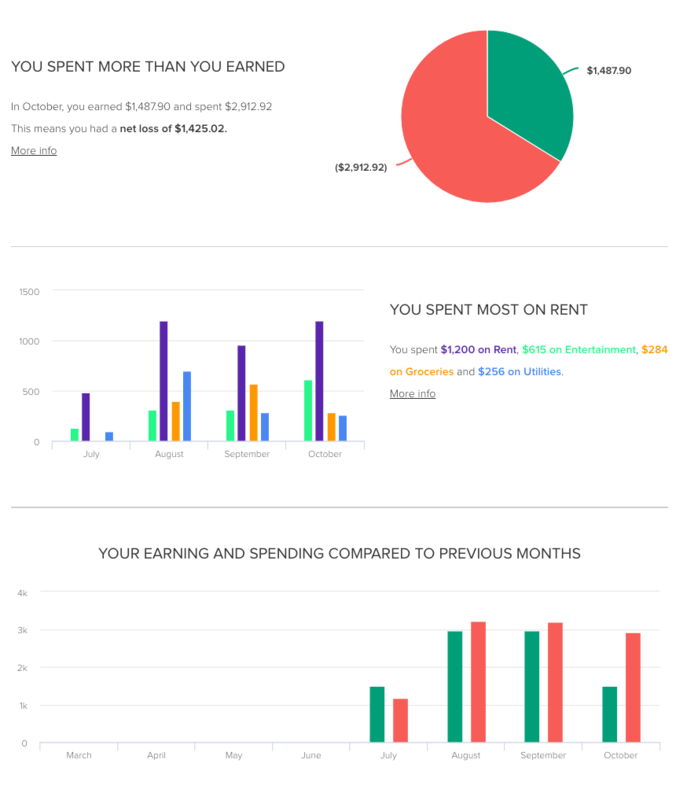 Quickly see how much money you earned and spent in a selected period, and compare your income and expenses to previous months. You can also view your top spending categories and easily identify where you've spent too much. 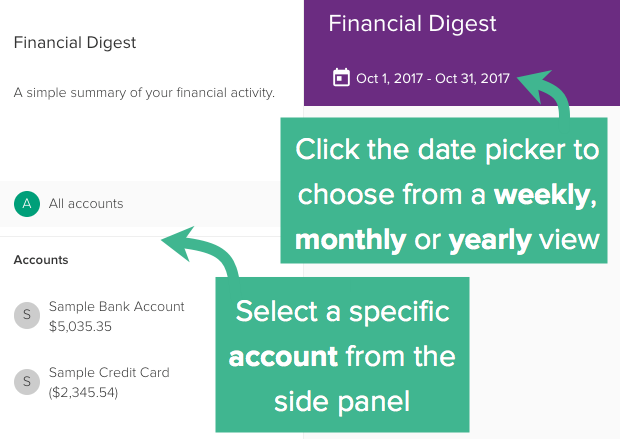 Use the Digest to see if there's anything you can do to reduce the amount of money you're spending. 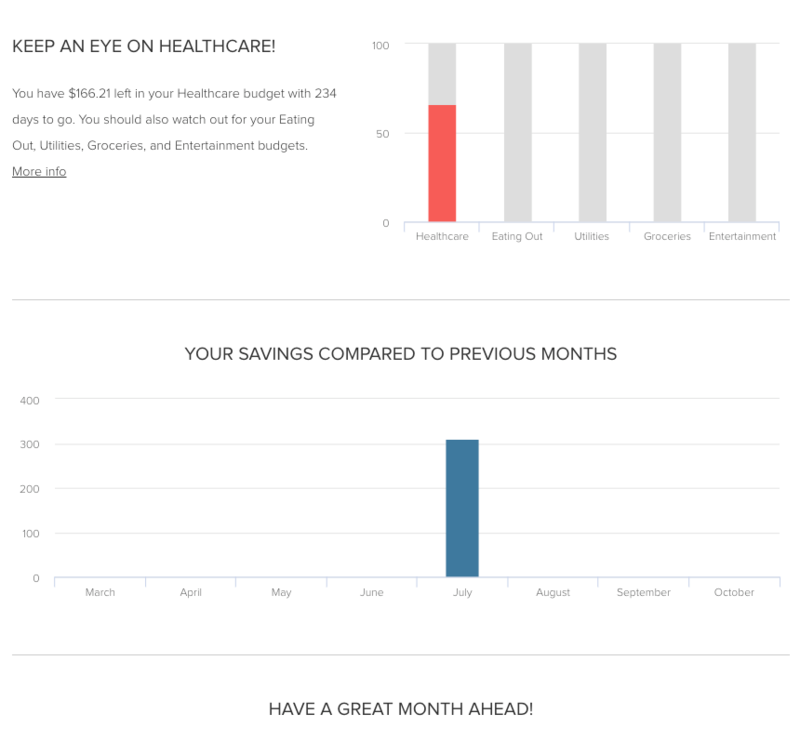 At the top of the Digest, PocketSmith will split your finances into earning and spending in a pie chart. This lets you see at a glance whether your incoming funds are more or less than your outgoings. You'll see what categories you spent the most in on the YOU SPENT MOST ON section. You can also see a quick comparison of earning and spending with the bar graph. Do you add notes to your transactions? The Digest will share a memory from your transactions! Head to the Timeline to see even more. The Digest will highlight any particular categories that are close to reaching their total budgeted expense. It will also highlight any savings you've made. Savings = (Total Income - Total Expenses). You can set your Digest to a weekly, monthly or yearly view. Use the date picker to choose your preferred option. Dig deeper into single accounts, or understand the bigger picture by viewing your Digest for all accounts. 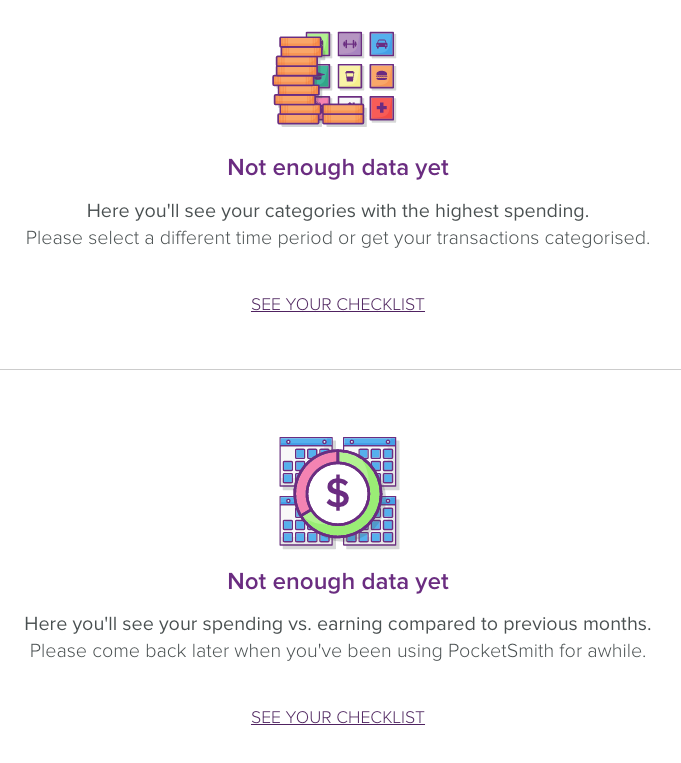 When you first sign up with PocketSmith, your Digest may appear a little empty. Don't worry about this, it will populate itself over the next couple of weeks as you import and categorize transactions. Come back a little later, or follow the directions in each section to see more data in your Digest.